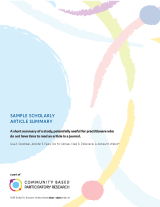 This toolkit is for researchers across disciplines and social locations who are working in academic, policy, community, or practice-based settings. In particular, the toolkit provides support to emerging researchers as they consider whether and how to take a CBPR approach and what it might mean in the context of their professional roles and settings. 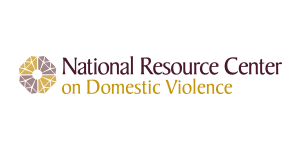 Domestic violence advocates will also find useful information on the CBPR approach and how it can help answer important questions about your work. Foundational information about the definition and history of CBPR, and more importantly, CBPR within domestic violence work. How to engage in the self-reflection necessary for conducting CBPR in the domestic violence arena while learning about the community with which you’d like to collaborate. A description of the core values of CBPR and a set of concrete questions and ideas to help you translate these values into action. 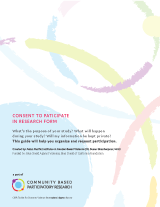 Ready to initiate CBPR in your community? Use These Extra Tools To Guide Action. Download these tools with the full toolkit or each individually to save valuable time and resources. What's the purpose of your study? What will happen during your study? Will my information be kept private? Download this and let others know. 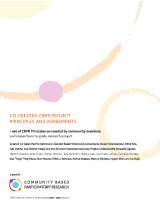 Build your efforts on our solid foundation of CBPR principles based on 30 years of our collective lived experiences. Download and get started. 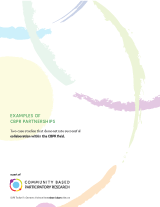 Two case studies that demonstrate successful collaboration within the CBPR field. Download and read for additional inspiration. A short summary of a study, potentially useful for practitioners who do not have time to read an article in a journal. Download and see how. Notice of Federal Funding and Federal Disclaimer. 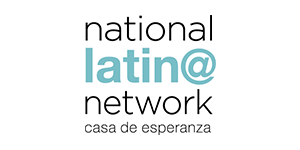 The development of this website was made possible by Grant #90EV0428 from the U.S. Department of Health and Human Services, Administration for Children and Families, Family and Youth Services Bureau, Family Violence Prevention and Services Program to the National Resource Center on Domestic Violence. Its contents are solely the responsibility of the authors and do not necessarily represent the official views of the U.S. Department of Health and Human Services.